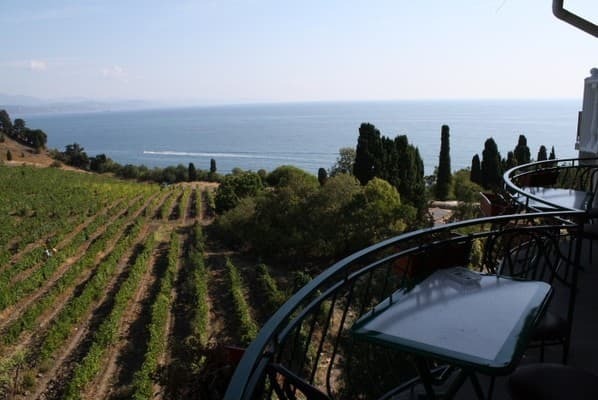 Villa "Selena" is located on the Black Sea coast, 300 meters from the sea, in the picturesque area of ​​Mount Kastel, the favorite place for recreation of the scientific and creative elite - Professor's Corner of Alushta. The guests are offered 11 cozy rooms of different capacity and comfort. All rooms with private facilities (shower, toilet, washbasin), equipped with balconies, refrigerators, air conditioners, televisions, electric kettles. 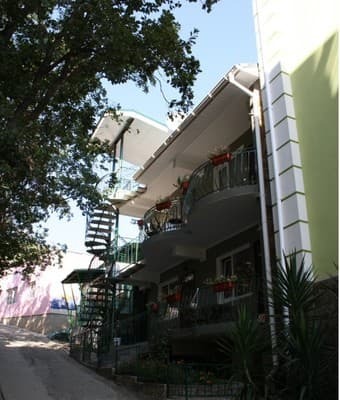 On the territory of the villa "Selena" there is a playground, Wi-Fi, parking, billiards. For an additional fee, you can visit the water park. 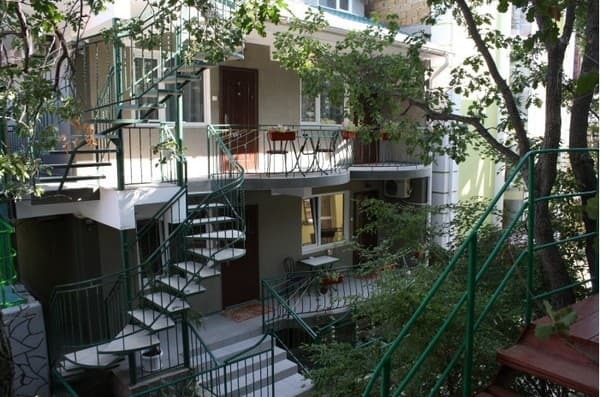 Villa "Selena" is ideal for families with children. PRICES MAY CHANGE, YOU NEED TO RECEIVE INFORMATION FROM THE OPERATOR! The cost of extra bed in the room is 70 UAH. per person per day. 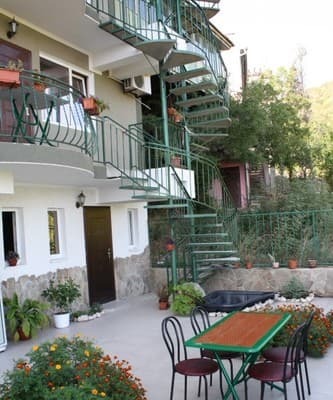 On the Black Sea coast, in the picturesque area of ​​Mount Kastel, 300 meters from the sea. From Simferopol (railway station, airport): along with the "Simferopol-Alushta" buses, there are also "Simferopl-Alushta (Professor's Corner)", the final stop of which is Komsomolskaya Square. From the trolleybus ring in Alushta: near the Alushta embankment there is a trolleybus ring, from there to the Professor Corner there is a trolley bus No. 2, as well as minibuses.